The people at Footprints Tours Ltd.
Having problems printing this page? 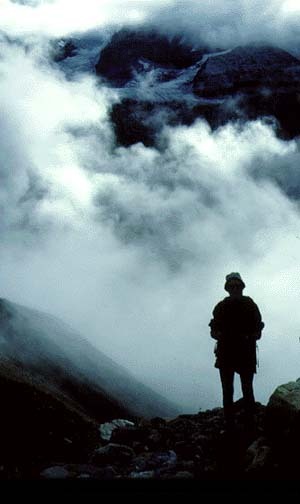 have been taking trekking groups to the Nepalese hills since 1978. Those who have not met me might find some historical background useful. 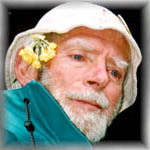 My introduction to Nepal was through my husband John. 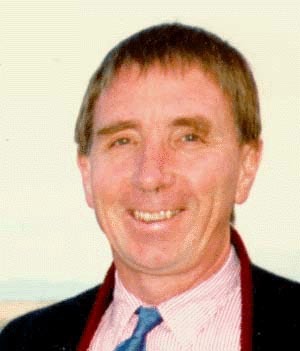 He was on Sir Edmund Hillary's combined aid-climbing expedition in 1964. As a consequence of John’s experience, we applied to work in Nepal and were selected by VSA (Volunteer Service Abroad, the New Zealand equivalent of the Peace Corps), going to Nepal at the end of 1966. 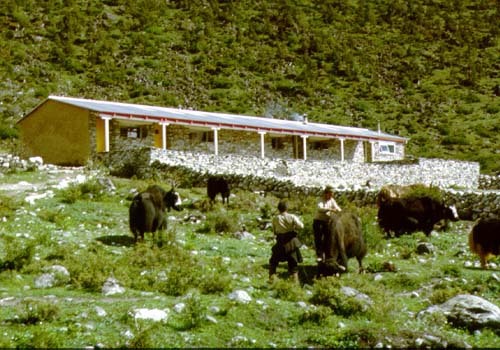 We helped establish Kunde hospital and I taught English at the nearby Khumjung school. We stayed for over two years, coming away enriched by the culture, permanently committed to the place and the people and with our son Dorje who was born in Kathmandu. ootprints Tours Ltd. was established by us in 1986 to provide quality, personalised trekking in Nepal.. Our interests have expanded so the company continues to offer escorted treks in Nepal as well as specialised escorted tours to North India, Japan and Central Asia. 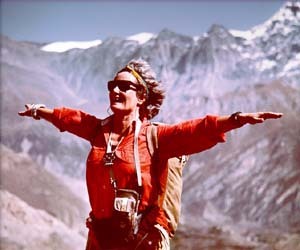 Diane has been taking trekking groups to the Nepalese hills since 1978 and Indian tours more recently. 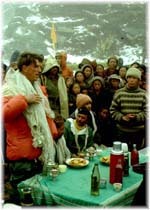 In 1964 John was a member of the successful expedition to Mt Thamserku in the Everest area. 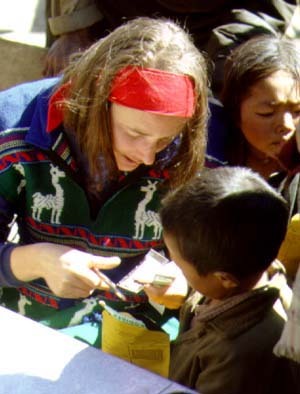 Both spent two years as VSA volunteers at Kunde hospital in the Mount Everest region and have been involved with aid work to the region ever since. Dorje who worked in Japan for five years speaks fluent Japanese. He has travelled on several occasions in Nepal with the family and independently throughout Asia. These family contacts have continued with repeated visits, treks and tours through Nepal, India, Central Asia and Thailand. This extensive travel, separately and with family has led to cultural enrichment and permanent commitment to the region and it's people. We were made aware that many tourists fail to have a rewarding experience of Asia because their travel was rushed, inappropriately structured or culturally insensitive. Footprints was started to address this and give clients the best possible positive experience. We run two or three tours or treks each year, taking pride in providing our clients with an intelligent, enriching experience. Many clients become friends and frequent travelling companions. A Footprints tour or package is quite special, thoroughly researched and designed to provide a non-rushed quality experience. Hotels are chosen for their location and charm. Trek staff are often personal friends. Local tours are crafted to maximise local knowledge. All Footprints tours and packages are personally reviewed each year. Every trek or tour is personally escorted by Diane or John or sometimes both. Dorje specalises and accompanies each Japan tour. The Footprints appeal is to the discerning traveller who wants a quality experience, just as we do! 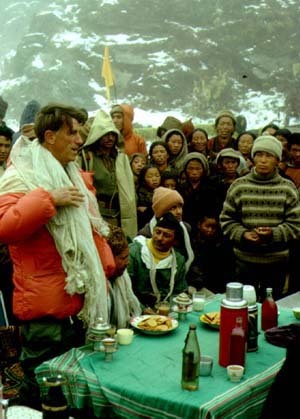 was a medical student in 1964 when Ed Hillary asked me to join an expedition to Mt Thamserku in the Everest region of Nepal. 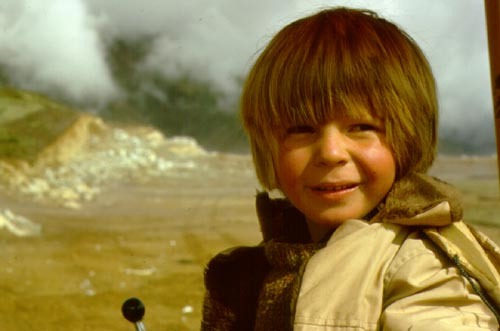 At that time I thought it was a great chance to travel and climb in the Himalaya. I little realised just how much it would change my life. After graduation and marriage, Diane and I lived at Kunde hospital. 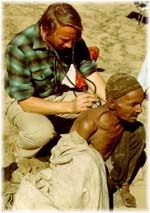 As the first resident doctor in the region it was an astonishing and rewarding experience. The nearest other medical facilities were six days walk away. The Sherpa people lived then as all our ancestors once lived. As peasant farmers and traders theirs was a ‘natural’ life in magnificent surroundings. Contrary to much populist opinion it was also life with a great deal of hardship and disease. Sherpa people dealt with these difficulties in a way that I found both humbling and inspiring. Almost without exception they accepted and dealt with the adversities of disease and environment without rancour and with notable humour. It is these qualities which endeared them to generations of mountaineers and nowadays, to modern day trekkers. It also led me to an interest in Buddhism and eventually to become a practitioner of Zen. On return to New Zealand I trained as an ophthalmologist both in my home country and England before returning to live in Nelson, at the tip of New Zealand’s South Island. I was fortunate to continue my association with Nepal by returning every year or so to work with Sir Edmund on his various aid projects and to assist with eye surgery and other medical matters at the Himalayan Trust hospitals. Retiring from ophthalmic practice in 1996 made time available for all my interests as well as continued medical work in Nepal. In Nepal, I feel as comfortable as in New Zealand. The country and its people have given me a lifetime of friendships and experiences. I like to share that. So when Diane set Footprints in place it seemed an ideal extension of both our interests and lifestyle. It continues that way. If you would like to experience these magical parts of the world with our assistance, please come along. hat did you say your name was ?" or "How do you spell that ?" would have to be the two most common and least offensive results of having a Sherpa name. I have been very lucky, my name (when remembered) is not easily forgotten. At a young age my parents introduced me to the joys of knowing another culture. The numerous nationalities who graced our dining table, and countries we visited while I was growing up made for a wonderfully diverse education. To this day I remember flying into Bangkok on a family trip, looking out the window and understanding, not just knowing, that another culture was spread out below us. Newspapers, politicians, families, monuments, language, everything that we had, but with different solutions to the similar problems. Scary and exciting at the same time. Working with Footprints allows me to help others enjoy that wonderful experience. Though we still go on family holidays I started my independent travelling when I went to the United States the year I finished high school. After a year there I returned to New Zealand and surprised myself by spending the next four years studying science at Otago University in Dunedin. Very few New Zealanders knew much about Asia when I graduated from University so I decided I wanted to live there for a time. After investigating the options I settled on Japan, and soon found myself in Osaka working as a senior high school teacher. During my five years in Japan I explored and delighted in the culture and became fluent in the language; I travelled to many of my favorite places, visited new areas and got the chance to work with my mother and Footprints in Thailand. Now I live in New Zealand, returning on occasions to Japan where I have the good fortune to guide a group around my favourite Japanese gardens, show them my special places and introduce them to a fascinating culture. y involvement with Nepal goes back to 1952 when I went on a combined Royal Horticultural Society and British Museum (Natural History) Expedition to Western Nepal. I had just gained a diploma in horticulture and was the R.H.S. representative on this expedition and its 1954 sequel to the Dhaulagiri and Annapurna areas. I collected large numbers of plants, as well as some insects and reptiles, for the British Museum. These were either dried or pickled, whereas the plants for the R.H.S. were collected and taken back to England in a living but dormant state so that they could be grown. A few years later I emigrated to New Zealand and did not return to Nepal for exactly 40 years. 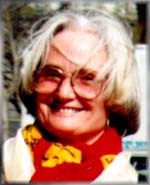 My third visit was in 1994 when Diane invited me to be a botanical guide on the first Footprints flower trek to Nepal. 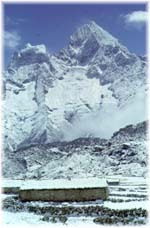 This was to the Solu Khumbu area south of Mt Everest and it was successful enough to have a follow-up the following year. 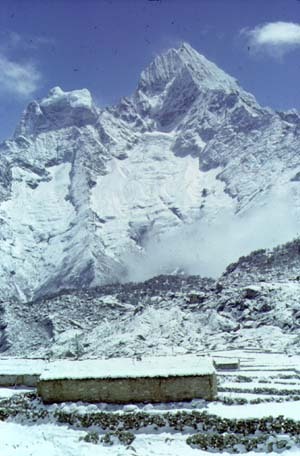 In 1996 the venue was changed to the Annapurna area and thus close to my field of collecting in 1954. The 1996 trek was round the Annapurna Circuit and afterwards I could not resist the lure of Mustang, where a colleague went in 1954 whilst I had stayed on the south side of the Himalaya . For me, my return to this magical country after such a long interval was like a reincarnation and I have renewed acquaintances with many beautiful plants on these Footprints flower treks. But each time I meet species that I have never seen before and it has been a challenge to find out what some of them area. But one doesn't have to be a botanist and know all the names in order to enjoy the magnificence of the Nepalese flora. The plants are so varied and the flora changes so dramatically from the tropical lowlands to the alpine heights and from the lushness of the monsoon-soaked southern exposures to the and steppe-like slopes of Mustang. Always there are interesting plants and animals to see. e live in Nelson, New Zealand. The map shows New Zealand at the centre of the globe; reflecting the attitude of its residents rather than its economic or political significance. Where we live, Nelson is right at the geographic centre of NZ so you can appreciate that Footprints is well located! How do you contact Footprints? than the experiences of a way of life that is itself wholly satisfying. If you would like us to arrange a tour for your own independent group check out what we offer.